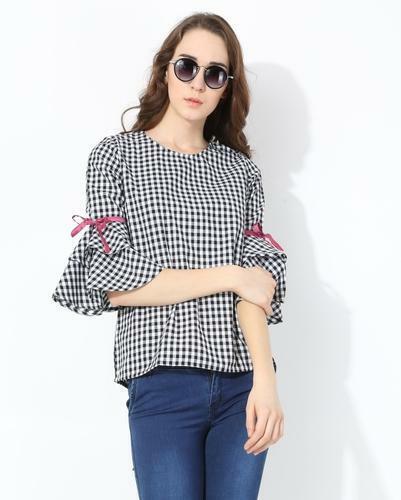 Prominent & Leading Manufacturer from Noida, we offer ladies tops, women red top, printed relaxed fit women tops, relaxed fit tops and tunics for girls, girls top and women tops. 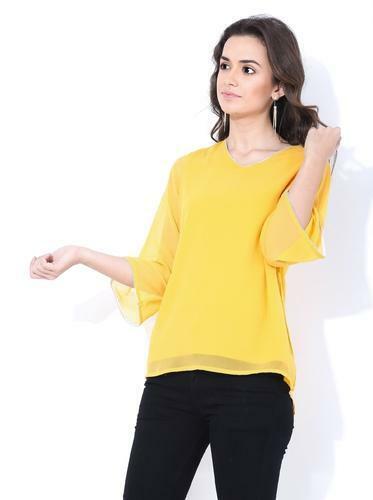 We are offering our clients with the finest ladies Top. Price given based on MOQ 500pcs, per colour MOQ 100pcs.but any quantity you can order, price will be as per order Volume. Sizes we make XXS to 6XL. We are offering Women Red Top to our clients. Price mentioned as MOQ mentioned.but any quantity a customer can order, lesser quantity will attract higher prices. 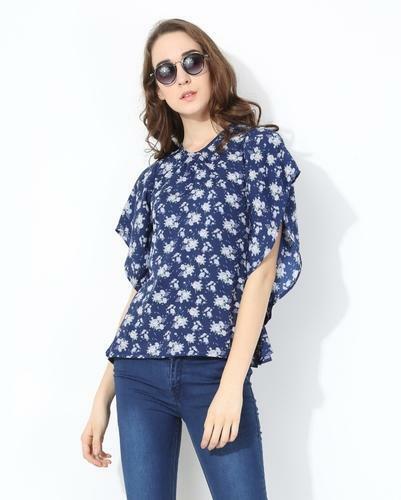 Sizes we make XXS to 6XL.Price mentioned as regular quality Georgette n crepe, if better quality fabric needed then price will be negotiated accordingly. Price mentioned for a MOQ but any quantity you can order, price will be negotiable accordingly. Sizes we make XXS to 6XL. Plus sizes price will be higher. This design is available in various colours till stock lasts else you may select from market available prints and sizes XXS till 6XL. Price mentioned is the idea and order quantity is not a limitation you may order single pc also but price ll be negotiable as per order volume, quality parameters by the clients. We cater to International as well as Indian Markets. For sure we make above average quality or best possible quality with competitive price. We dont cater to cheap version of prices compromising on quality. We welcome esteemed clients who gives preferences to quality keeping right price in mind. Genuine buyers welcome. Specifications:sizes we make XXS-6XL. 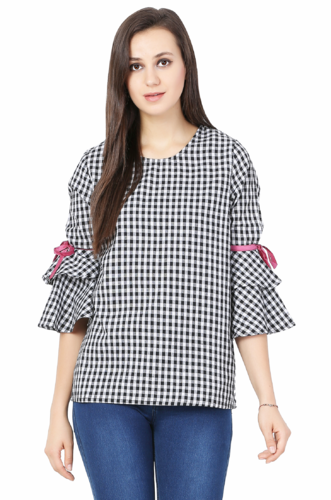 Quality is the hallmark of our company, in order to maintain quality standards we offer a wide array of Girls Top. The quantity of the order is negotiable per customers business format. Price will be as per order Volume. Plus size also we make till 6XL. We have sizes from XS to 6XL. 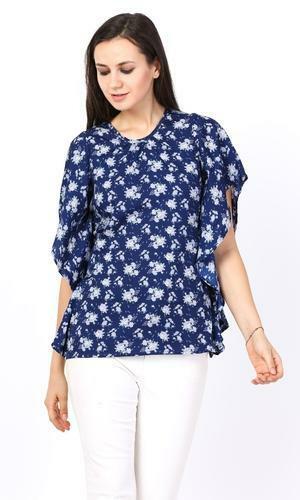 Made of pure cotton, you can order any quantity per your requirement, the price will be little higher if the order quantity is small. Sizes available XXS to 6XL. This design is available in various colours checks till stock lasts else you may select from market available checks and prints and sizes XXS till 6XL. Price mentioned is the idea and order quantity is not a limitation you may order single pc also but price ll be negotiable as per order volume, quality parameters by the clients. We cater to International as well as Indian Markets. For sure we make above average quality or best possible quality with competitive price. We dont cater to cheap version of prices compromising on quality. We welcome esteemed clients who gives preferences to quality keeping right price in mind. Genuine buyers welcome. Specifications:sizes we make XXS-6XL.